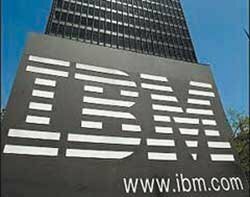 IBM has announced it is buying Texas Memory Systems (TMS) for an undisclosed sum. Texas Memory Systems (TMS) was founded in 1978 and has become one of the most prolific suppliers in the flash storage market, specialising in its RamSan range of rack-mounted SSDs and PCIe cards. Now IBM will integrate TMS's technology into its own server and storage ranges. “The TMS strategy and solution set align well with our smarter computing approach to information technology, by helping clients realise increased performance and efficiencies at lower costs,” said Brian Truskowski, general manager of systems storage and networking at IBM. IBM has promised to invest in TMS to continue to build the products. However, when Computer Weekly spoke to Erik Eyberg, senior analyst at TMS, he would not confirm what would happen to the company name or whether its employees would be kept on board. Eyberg was keen to highlight the endorsement of SSD technology represented by the deal. “The I/O bottleneck has been holding back computing for years and hard disks are not getting any faster,” Eyberg said. “The deal comes hot on the heels of similar moves from other players, most notably EMC with XtremIO,” Robinson told Computer Weekly. However, Robinson thinks the older company is a better fit for IBM, adding: “It has a broader set of SSD products that can reside in both the host and as a shared storage system. IBM already partners with other SSD companies, including Fusion IO. However, the company claimed TMS would “complement IBM’s current portfolio”, rather than replace it. The deal is expected to complete by the end of 2012.